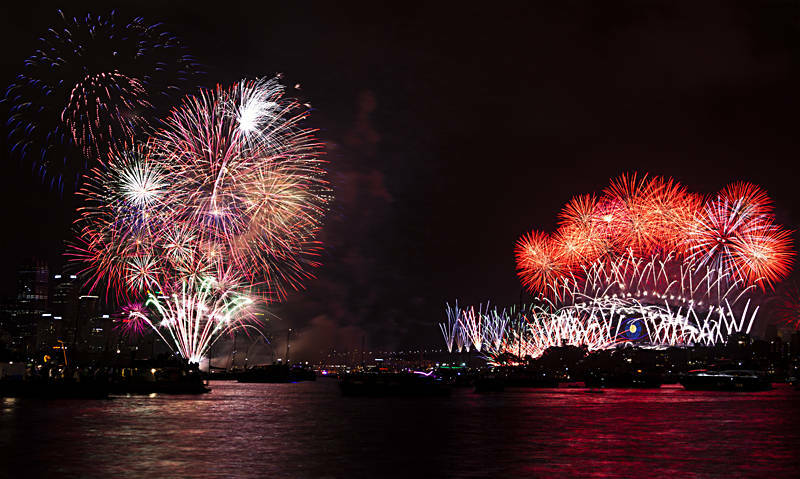 For those of you still in 2013 Happy New Year 2014 from Australia. I took this shot of the New Year Sydney Fireworks from the tip of Cremorne Point. We had a clear 180 degree view of all 6 floating launch points plus the Harbour Bridge and the Opera House. The only drawback to our location was a rising tide which temporarily blocked our way out. We both had a great time and wish you the best for the New Year.